It is hard to believe that I am past the halfway point of my presidency. 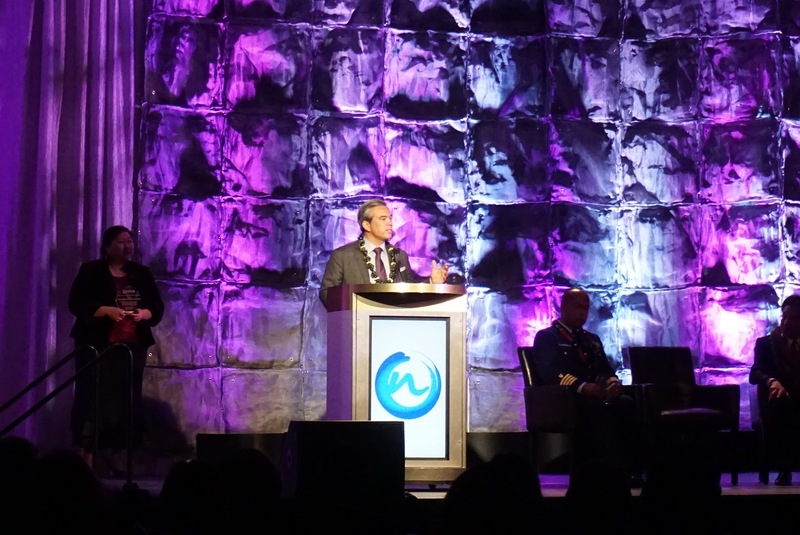 During my trip to the NAPABA Convention, I reflected upon what we have accomplished in recent months and how much more there is to come with our 40th anniversary almost upon us. 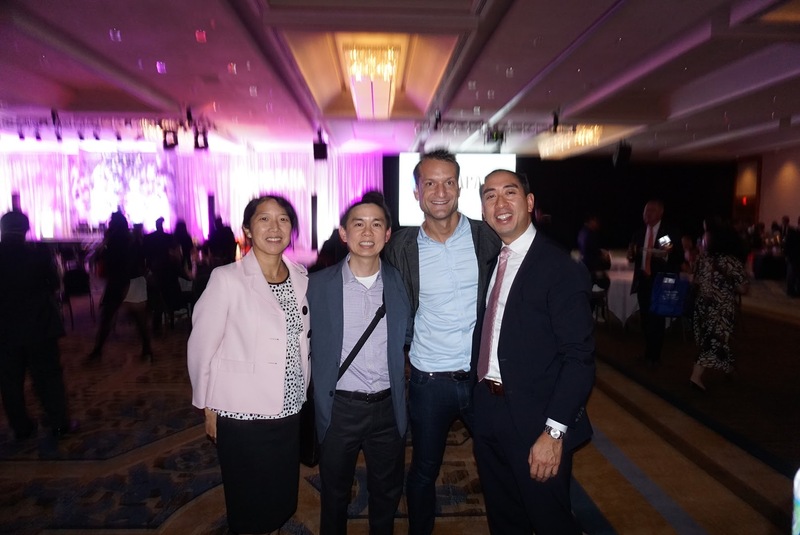 At the Affiliate Summit (an all-day meeting of NAPABA affiliate leaders), I was once again reminded of what an incredible and diverse organization AABA is and how our members are at the forefront of the legal community. 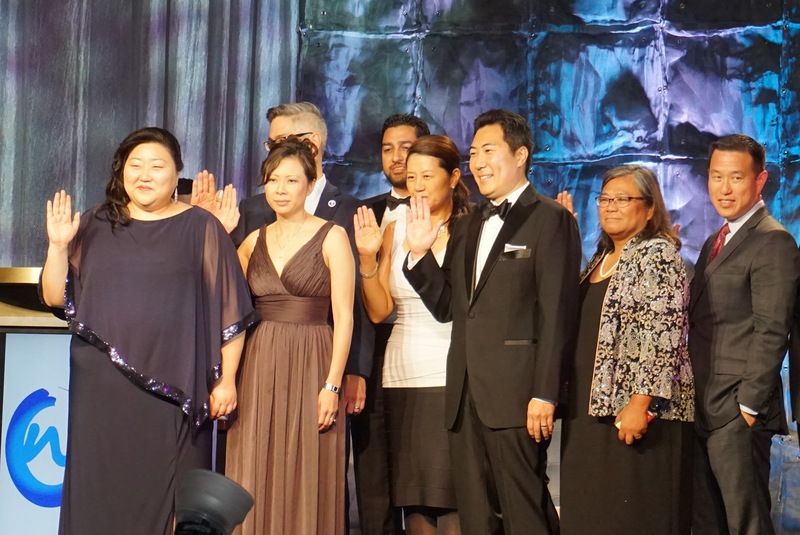 This was obvious at the Convention where our members were organizers, moderators, and speakers on a bevy of panels; being sworn into the NAPABA leadership ranks; and receiving honors and awards. It was great catching up with everyone during our Friday night party (co-hosted by FBANC and members of both organizations) in the French Quarter. Laissez les bon temps roulez! In my installation speech, I spoke about the importance of honoring the past while “paying it forward.” The past six months exemplify this theme as shown by AABA’s actions and events in the late summer and early fall. The newsletter highlights some of these, including our Summer Law Clerk Reception and Annual Summer Picnic. Others are not captured in the newsletter, including the launch of the Mentorship Committee’s annual program; the Women’s Leadership Event featuring Nicole Wong, former U.S. Deputy Chief Technology Officer; and Gender In/sight: A Workshop on Understanding and Unpacking Culture and Constructions of Gender, hosted by our LGBT Committee. 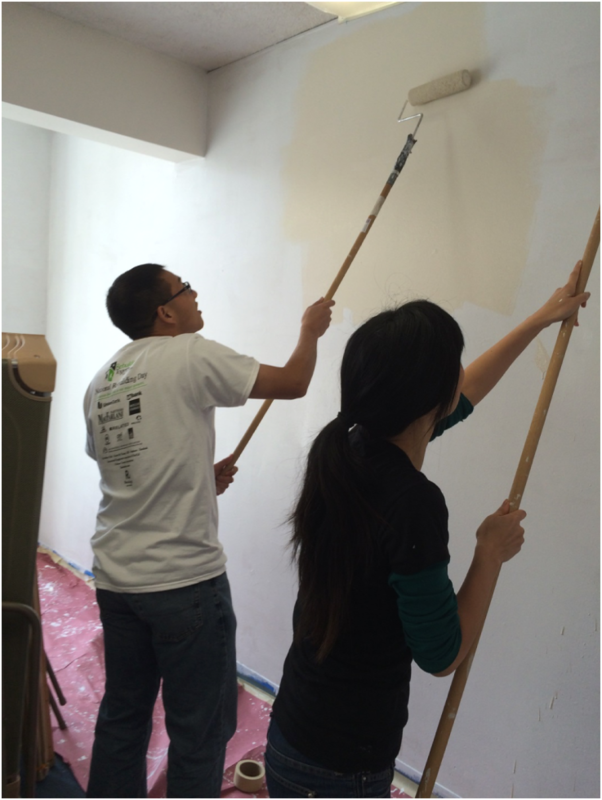 This term, AABA has also continued its tradition of activism. We celebrated the decision in Obergefell v. Hodges, 576 U.S. __, 135 S. Ct. 2584 (2015). We are proud longtime supporters of marriage equality—from our steadfast opposition to Proposition 8 to the signing of numerous amicus briefs in support of marriage rights, including in Obergefell. The Civil Rights Committee has been busy at work this term, vetting these issues for our organization. 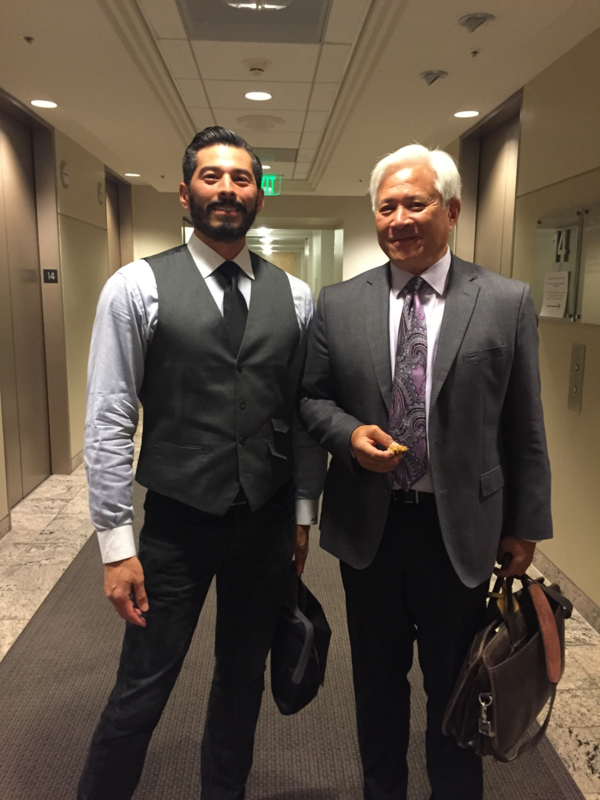 Most recently, AABA was part of a group of 70+ API organizations calling upon the U.S. Attorney General to investigate whether race or ethnicity played a role in the recent prosecutions of Asian-American scientists where charges were filed and then later dropped. As the holiday season approaches, I wanted to give thanks to all of our committees for their efforts this year. 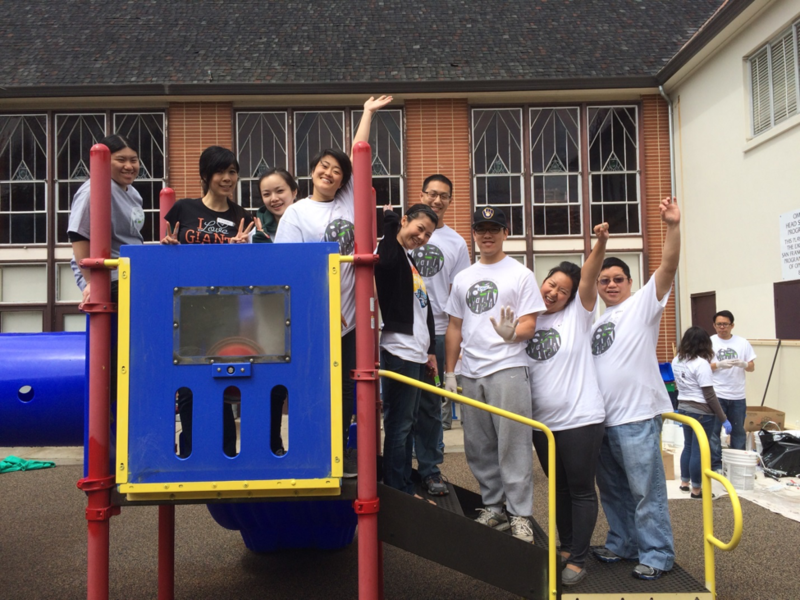 AABA could not contribute to the community with such breadth and depth without the hard work of our committee co-chairs and members who volunteer their free time. In addition, I have much to be thankful for on a personal level this Thanksgiving. My son, Kiyoung, was born on May 21, 2015. 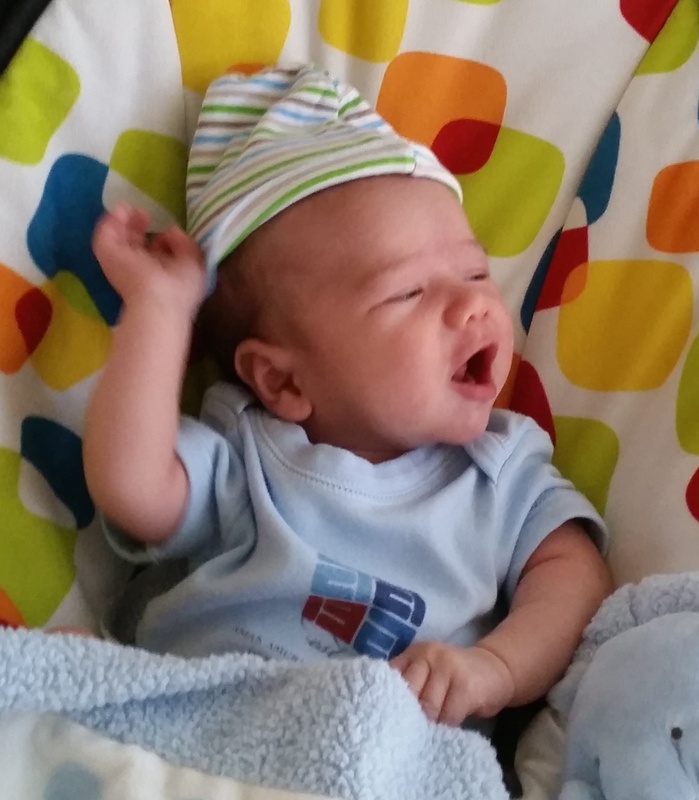 (See attached photo in his AABA onesie courtesy of our female board members.) I am incredibly grateful for him and to the Board for its support during my one-month leave. 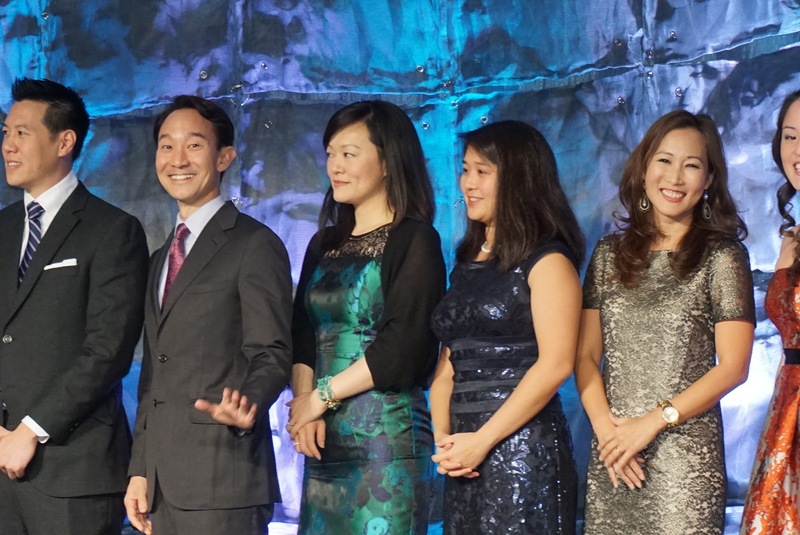 Kiyoung is part of the next generation of AABA, and thanks to our Board’s efforts to implement the corporate governance overhaul I emphasized at the beginning of my term, we are poised to pay it forward for decades to come. Finally, please join me and the other Directors at AABA’s Annual Holiday Party on Thursday, December 3rd, at Butterfly Restaurant. As I approach the remaining months of my term, please contact me with feedback or any ideas. You can reach me at leeeu@uchasting.edu. Happy holidays to you and your loved ones! 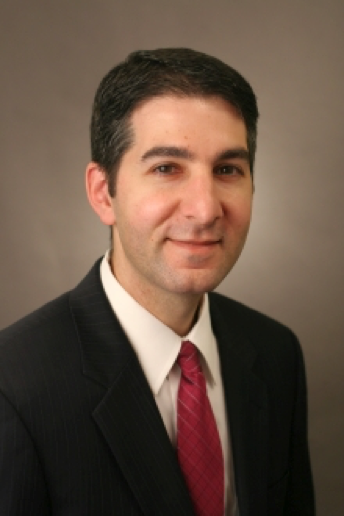 On July 14, 2015, the Solo & Small Firm Committee hosted a roundtable lunch with David Sohn, the Principal Attorney of Sohn Legal Group, P.C., to discuss the nuts and bolts of starting a solo practice. 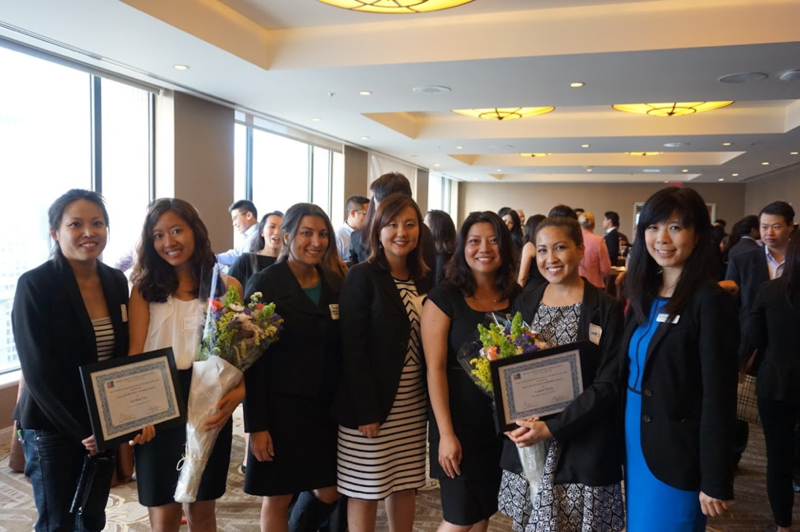 The event was well-attended, with a diverse group including law firm associates, established solo practitioners, as well as recent law school graduates. 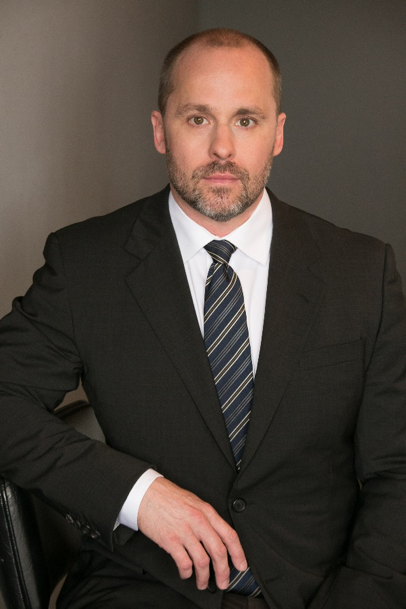 David, a former AABA president (2013–2014), ventured into solo practice after a successful early career at several large law firms. He walked the attendees through the steps he took to launch his practice and the challenges of growing and developing a business. David emphasized the importance of setting a series of goals and keeping the goals in mind every day while working. He also encouraged the attendees to think big in setting their goals and staying focused through the difficult challenges that every solo attorney faces. Some of the challenges David touched upon included managing his diverse group of clients and managing his cash flow needs during leaner financial periods. Because a significant portion of his practice is contingency-based, he explained how he structured his practice to be able to maintain a thriving practice between successful settlements and trials. David reminded attendees of the importance of being involved in and giving back to the community through organizations such as AABA. He stated that a solo practitioner’s reputation is absolutely critical to developing a successful business. The Solo & Small Firm Committee thanks David for his time and insight. With the cost of living in the Bay Area skyrocketing, employee compensation has been headline news in recent months. Here are a few key highlights of recent changes in minimum wage and paid sick leave laws impacting employees and employers in San Francisco and Oakland. Minimum wage increases to $12.25 hour for all employees took effect in San Francisco (May 1, 2015) and in Oakland (March 2, 2015). Oakland’s minimum wage will increase to $12.55 effective January 1, 2016. In San Francisco, the minimum wage will increase in scheduled increments to $15 by July 1, 2018. In Oakland, annual minimum wage increases will be based upon increases in the regional Consumer Price Index (CPI). 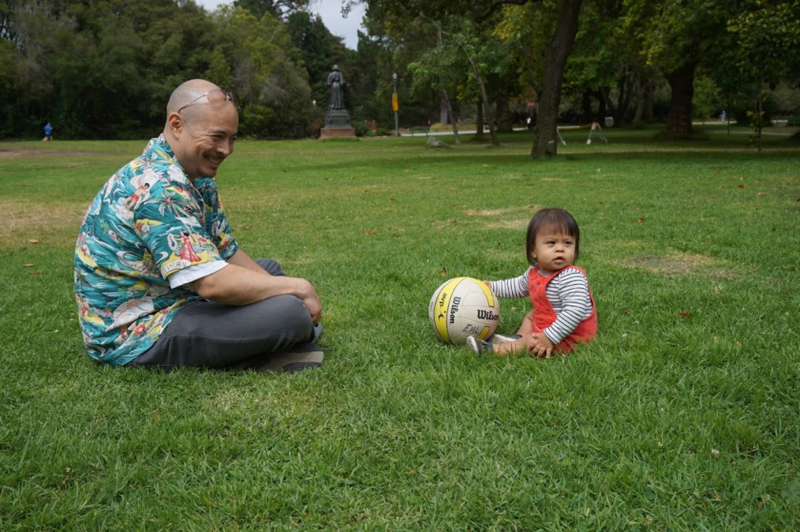 Effective March 2, 2015, most Oakland employers must provide employees with paid sick leave up to 9 days or 72 hours. Oakland’s law is modeled after San Francisco’s paid sick leave ordinance which was enacted back in 2007. Employees: Any employee who performs at least 2 hours of work per week within the city boundaries, such as part-time and seasonal employees, can accrue paid sick leave. Accrual of Sick Leave: Hours accrue at the rate of 1 hour for every 30 hours worked. Cap of Sick Leave: For small employers with less than 10 employees, sick leave can be capped at 40 hours; for all other employers, sick leave can be capped at 72 hours. Carry Over: No “use it or lose it” allowed. Sick leave carries over year to year, subject to the cap. No Cash Out: Sick leave cannot be “cashed out” annually. Further, unused sick leave does not need to be paid out upon termination, resignation, or retirement. When Can Employees Use Sick Leave: Employees are not entitled to use the sick leave until after 90 calendar days of employment. What Can Sick Leave Be Used For: Sick leave can be used for personal illness, to care for a child, parent, sibling, grandparent or grandchild, spouse, domestic partner, or if the employee has no spouse or domestic partner, any other designated person. Request: Reasonable advance verbal or written notice of the need for leave, or as soon as practicable if an emergency. Employers: All employers, including temporary agencies, are subject to the new law. Employees: Any employee who performs at least 2 hours of work per week within the city boundaries, including part-time and seasonal employees, must be paid the minimum wage. While California’s new paid sick leave law that provides 3 days or 24 hours of paid leave will become effective on July 1, 2015, San Francisco and Oakland require employers to provide much more generous benefits to employees. Doctor’s Note: There is no requirement for a doctor’s note, but employers can require “reasonable verification.” Employers must also be sure to comply with State and Federal laws protecting an employee’s right to medical privacy. ancisco and 3 years in Oakland of the name of the employee, hours worked, pay rate, paid sick leave accrual and usage. Employers must provide a copy of the record upon the employee’s request. Noncompliance with minimum wage or paid sick leave laws will expose employers to significant penalties and attorneys’ fees. So employers takeheed! The sharing economy is sweeping the world with significant repercussions, particularly here in the Bay Area. It has opened up the opportunity for those with assets—such as a car, a spare room—“to share” to generate new or additional revenue. See, e.g., Amy Zipkin, The Sharing Economy Attracts Older Adults, N,Y, Times, Sept. 25, 2015, http://nyti.ms/1Vdkepa. While opportunities are abound, regulators and law makers are trying to adapt to the new terrain. The following articles illustrate the debate over and complexities arising from the success of Airbnb. 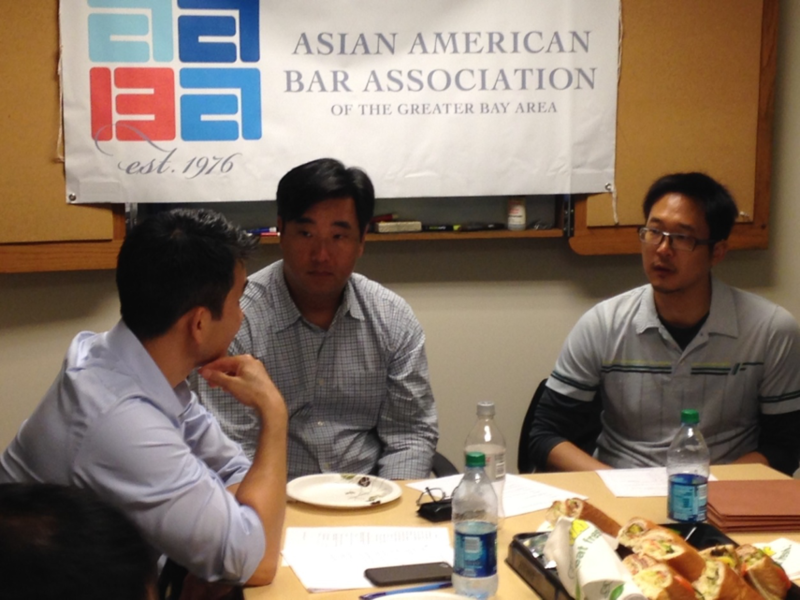 Editor’s Note: The views expressed in these articles belong to the respective authors and do not represent or reflect the views or positions of the Asian American Bar Association of the Greater Bay Area. AABA is dedicated to encouraging a robust discussion and dialogue on issues that affect the community and the legal profession. San Francisco is ground zero in the burgeoning battle over the so-called sharing economy, which includes home-sharing through websites like Airbnb and car-sharing through mobile apps like Uber and Lyft. While exciting and potentially lucrative, the new sharing economy in housing raises significant legal issues for property owners, landlords, and tenants alike. Late last year, the San Francisco Board of Supervisors passed an ordinance requiring any person, whether a property owner or a tenant, who rents residential real property for a term of less than 30 days to comply with new rules and regulations, including, among other things, registering the property with the Planning Department. The new rules can be found primarily in the San Francisco Administrative Code, Chapter 41A, section 41A.5. Other relevant provisions of the new rules can be found in the San Francisco Rent Ordinance, which is codified at Chapter 37 of the San Francisco Administrative Code, particularly at section 37.9(a)(4). But compliance with the new law (which, in the author’s opinion has been woeful) is not the end of the story. There are several other issues that short-term rental “hosts” must also consider before engaging in short-term rentals. Property owners, for example, must ensure that they are properly insured in the event of a loss or claim under their existing homeowners insurance policy. It is advised that a property owner should contact his insurance broker before, rather than after renting their property to a third party and verify the scope and terms of coverage. In addition, property owners in common interest developments such as condominium complexes should determine whether short-term rentals are permitted by the developments’ governing documents (e.g., the Declaration of Covenants, Conditions & Restrictions, often referred to as the “CC&Rs”). The new San Francisco ordinance does not trump CC&R restrictions on short-term rentals. Thus, if a condominium complex prohibits short-term rentals, the condominium owner cannot rent his or her property for short-term rentals on sites like Airbnb, even if the unit owner complies with the new ordinance. As well as consulting with the property owner’s insurance broker, property owners should consult with an experienced real estate attorney to determine whether they may engage in short-term rentals before listing their property, not after. Likewise, a tenant is well-advised to determine whether engaging short-term rentals is prohibited by his or her lease. 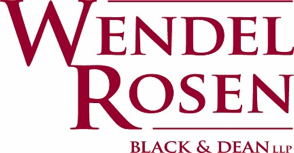 While the new ordinance legalizes the practice of renting residential real property for a term of less than 30 days (provided the lessor complies with the law’s registration and other requirements), the new ordinance does not trump lease provisions in leases that either prohibit subleasing and/or assignment without the prior, written consent of the landlord. Thus, if a lease prohibits subleasing and a tenant rents out his or her apartment (or even a portion thereof) without the prior, written approval of the landlord, the tenant exposes him or herself to a potential eviction for breach of a material term of the lease if he or she does so without the consent of the landlord. In addition, tenants who engage in short-term rentals on sites like Airbnb without complying with the new law’s requirements exposes themselves to potential eviction for illegal use of the property (though the law does allow a one-time “pass” for such illegal use violations). Tenants should obtain legal counsel from a professional tenants-rights attorney before subletting their rental units, not after. The new sharing economy offers may potential benefits for property owners, landlords, and tenants. But anyone seeking to take advantage of those benefits is advised to seek competent legal counsel before renting their property and before the first guest arrives. Editor’s Note: Hooshmand Law is involved in active litigation against home-share companies for violations of the San Francisco administrative code and state law. Companies collect tremendous revenues at the expenses of their customers and the communities in which they operate. These home-sharing platforms operate without providing any of the legal protections that an ordinary hotel is required to provide to its guests and the community at large. While San Francisco has made efforts to regulate these businesses in recent months, these regulations place all compliance and tax responsibility on the individual host while the hosting platform sits back and collects its commissions. The conversion of residential units for tourist or transient uses has significantly contributed to the housing shortage in San Francisco. See S.F. Admin. Code § 41A.A.3, http://administrative.sanfranciscocode.org/41A/41A.3/. It is estimated that there are more than 6,000 residential properties currently rented in San Francisco for short-term rentals. This has caused thousands of residential units, many of which are rent-controlled, to be unavailable for long-term tenant use. The conversion of residential units in apartment buildings and neighborhoods has also had an adverse impact on neighboring tenants who live in and around these apartment buildings and neighborhoods. Guests staying in the short-term rentals create significant additional amounts of noise, foot traffic, as well as security concerns. San Francisco passed an ordinance in October 2014 to legalize limited short-term hosting. The new law legalizes vacation rentals in private homes. Hosts must register in person with the San Francisco Planning Department and may only rent out an entire home for ninety days a year, assuming the host lives in the unit for the remainder of the year. Rentals are unlimited for individual rooms in a house where the host lives year-round. The law also requires hosts to display their city registry numbers on their online listings, though there is no enforcement mechanism in place. Hosting platforms have no responsibility to monitor the postings and face no penalties for violations. To date only about 130 hosts out of the 5,000 listings in San Francisco have set up appointments to register with the Planning Department. Carolyn Said, S.F. Airbnb Law Slowly Takes Effect While Challenges Continue, SFGate, Feb. 3, 2015, http://www.sfgate.com/business/article/S-F-Airbnb-law-slowly-takes-effect-while-6057580.php. The Planning Department has not yet developed a process to enforce the law against hosts and websites that continue to offer rentals without proper registration. In the absence of effective legislative action, Hooshmand Law Group has filed class action suits against home-share companies for violations of the San Francisco administrative code and state law. The lawsuits allege that short-term rental websites remove scarce housing from the already depleted housing market and create dangers for tenants and neighbors. †Mark Hooshmand is a Partner at Hooshmand Law Group and has spent the last ten years dedicated to advancing tenants’ rights and representing individuals in class actionsho have been affected by the loss of affordable housing and unfair business practices. 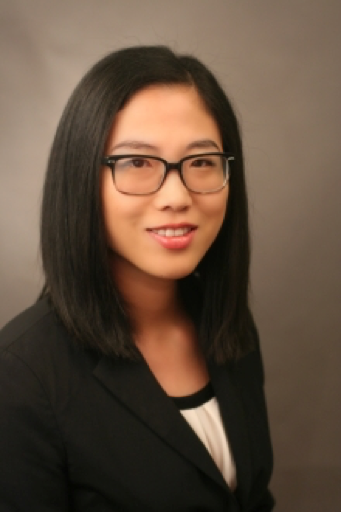 ††Jenny Jin is an associate attorney at Hooshmand Law Group, where she specializes in representing individuals and businesses interested in pursuing Class Actions as well as tenants who seek to recover damages. 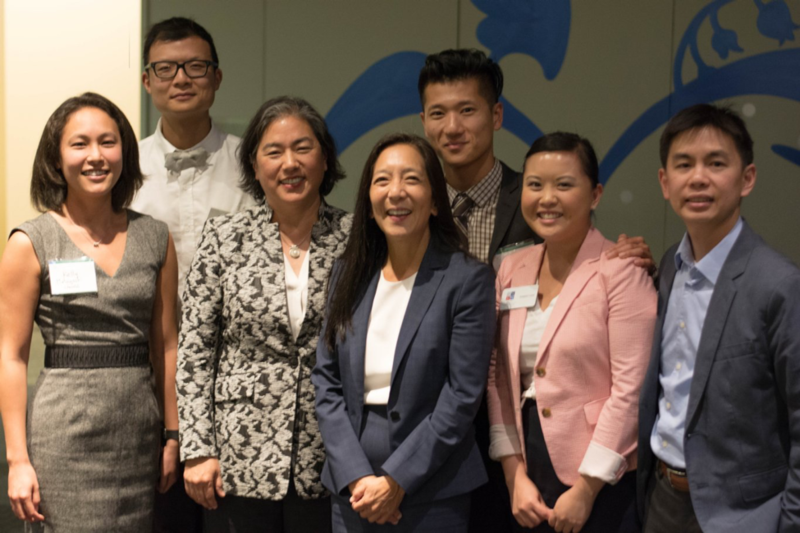 and Orrick, Herrington & Sutcliffe hosted a conversation about issues facing LGBT people of color and their representation within the federal judiciary with their special guest, Judge Pamela Chen of the Eastern District of New York. Appearing alongside her was none other than the Northern District’s very own Judge Donna Ryu, who helped facilitate the talk with an eager crowd. 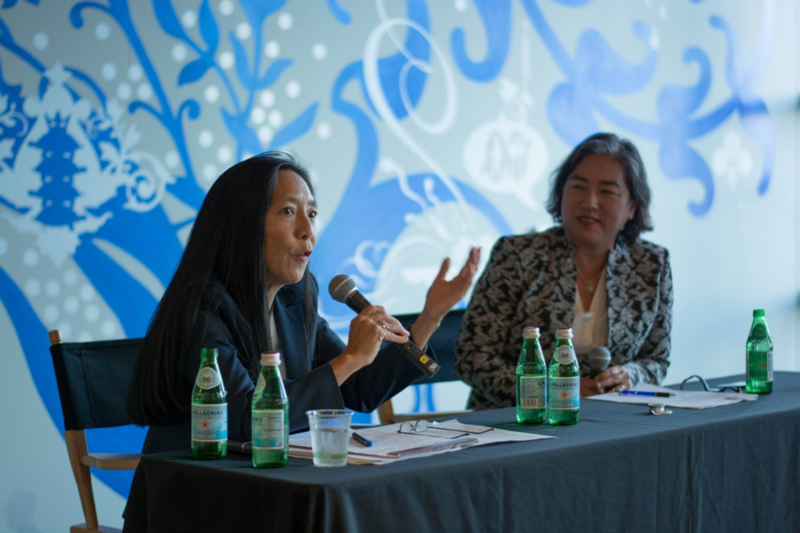 Judge Chen spoke candidly about her upbringing and her career throughout the evening. 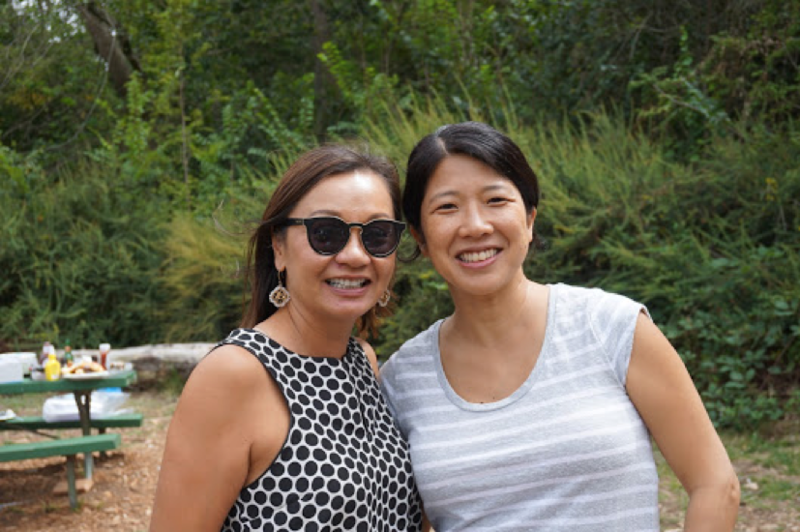 While often known for being the first openly gay Asian American woman to serve in the Eastern District, it was Judge Chen’s work as a U.S. Attorney with the Department of Justice that first brought her to prominence. 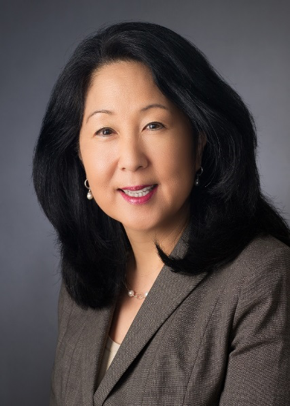 For more than a decade, Judge Chen readily served as a trailblazer by prosecuting significant cases involving human trafficking and hate crimes. It was that reputation, along with her devotion to public service, which earned her President Barack Obama’s nomination in 2012. Looking back on her experiences during her confirmation hearings, Judge Chen stressed that a successful appointment to the bench sometimes hinges on timing and luck. However, she also opined that LGBT candidates of color likely face unique adversities due to lingering perceptions associated with their sexuality or race, even if those qualities are not openly addressed during proceedings. 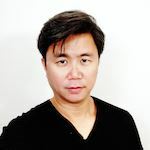 One difficulty LGBT candidates of color may encounter, as Judge Chen noted, is overcoming the assumption that they lack the qualifications to be leaders and were merely nominated for their minority status. Despite these challenges, there are steps that attorneys with judicial aspirations can take to make the best of their odds. 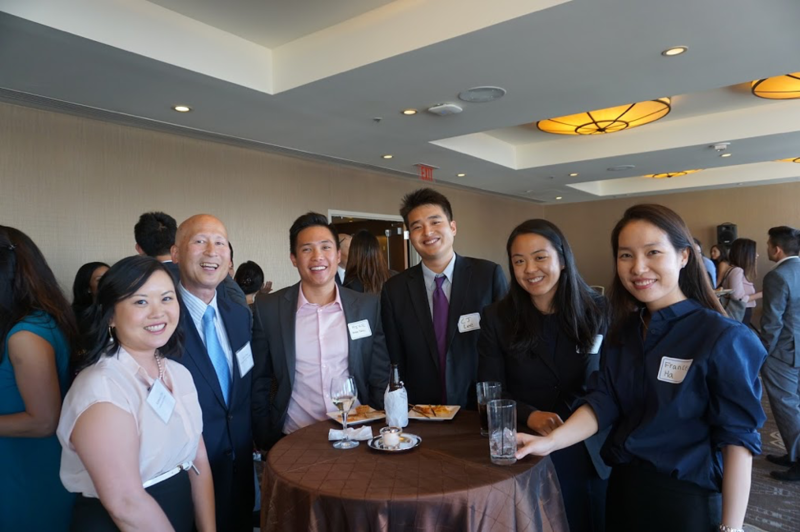 Both Judge Chen and Judge Ryu encouraged attendees to find mentors who could help them grow professionally, to establish a network of support with their local bar associations, and to be persistent when confronted with opportunities. Indeed, these were some of the factors that helped them succeed in their first bids for the bench. 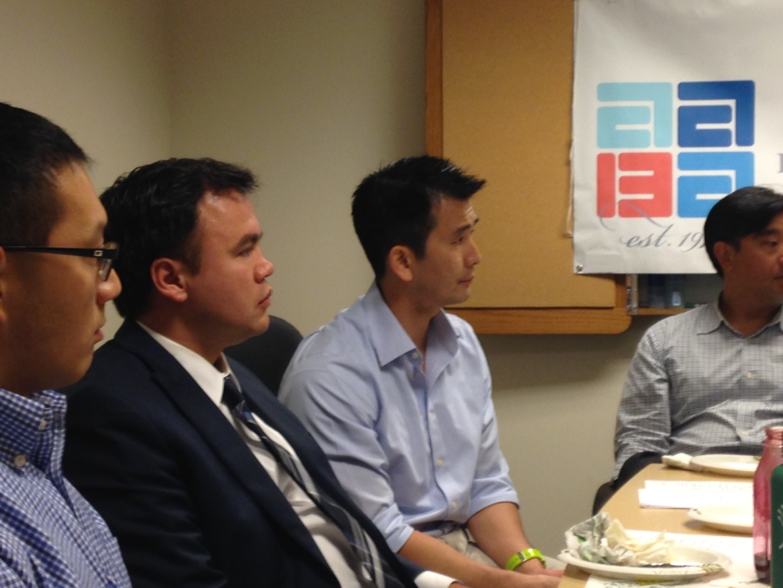 The LGBT Committee thanks Judge Chen and Judge Ryu for their time and insight. 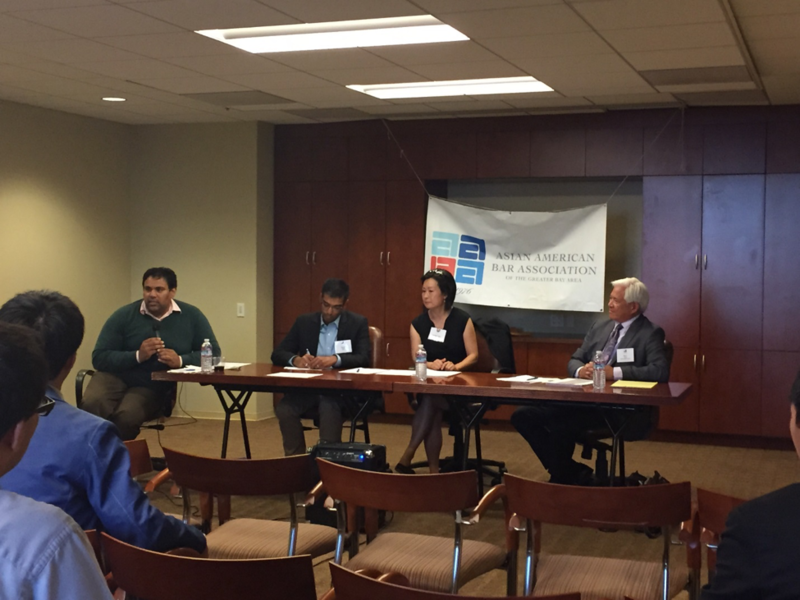 October 1, 2015: Solo and Small Firm Committee and Education Committee’s How to Effectively Present Your Case for Arbitration and Mediation: Insiders’ Perspectives from ADR Professionals with Moderator, Rishi Sharma and Panelists, Shrish Gupta, Kay Suk and Marc Fong. 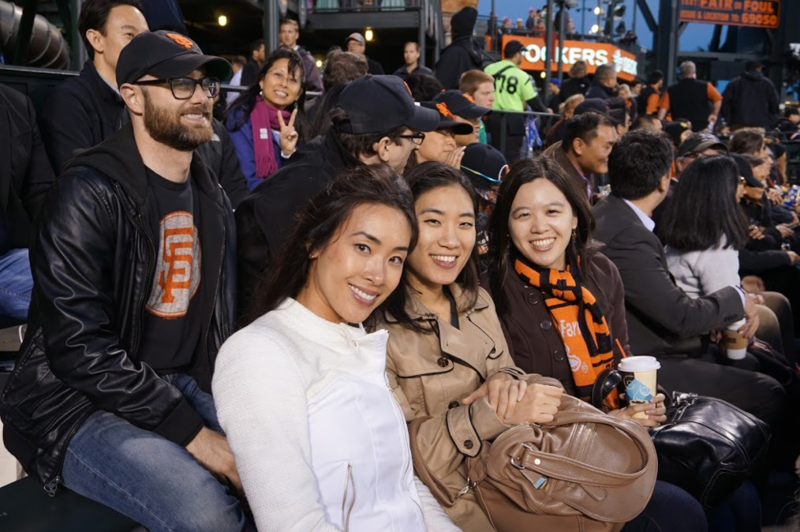 On July 7, 2015, the Asian American Bar Association’s Social Committee hosted the Annual AABA Baseball Night at AT&T Park. The event was a huge success! 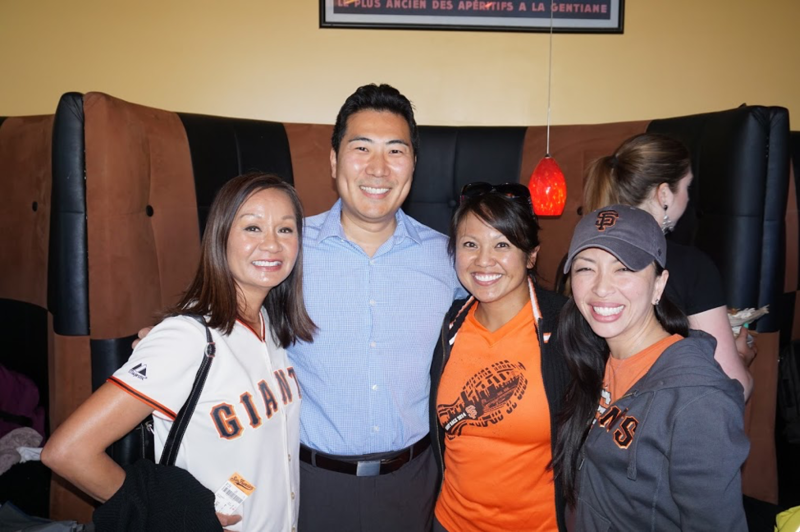 Over 50 AABA members and guests attended the pre-game tailgate party at Jillian’s at the Metreon. They enjoyed appetizers and cocktails before heading over to AT&T Ballpark to watch the Three-Time-World Champion San Francisco Giants take on the New York Mets on Bruce Lee’s 75th Birthday Celebration. AABA thanks Larry Lee from Advanced Discovery for graciously hosting the pre-game festivities. Advanced Discovery is one of the fastest growing e-discovery companies in the country. AABA truly appreciates their generosity and support! We look forward to seeing you all at AT&T Park again next year!